Seaside Book Nook: My Pancakes Taste Different Today! 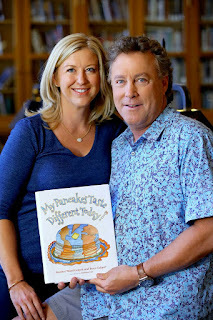 Synopsis (from Amazon): Could a Pancake have the power to shape a child's view of their world? It was a surprise to Ethan that his favorite breakfast, a stack of steaming hot pancakes, would reveal many ways that nature and people work together. He discovered that everyone has a hand in taking care of nature. Ethan would have never guessed that his simple, innocent act of tossing an oil can into the lake, just to make a big splash for fun, could change his whole wide world. The slippery journey of the oily OOZE leaking from the can, across the lake, down the river to the beaver ponds, and into the fields of grain brought all of Ethan's friends together. Everyone pitched in to clean up the OOZE from the lake, the fish, and the fields, to get rid of the mess around the lake they all loved. They celebrated with a party and plenty of pancakes. One (or more) Sentence Summary: My Pancakes Test Different Today! would be a great book to read to children near earth day. I would suggest reading the book schools, local libraries and community events. It has a great message, which means so much when selecting a book for young children. 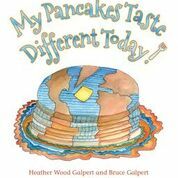 Here is a question and answer with Heather and Bruce Galpert authors of My Pancakes Taste Different Today! 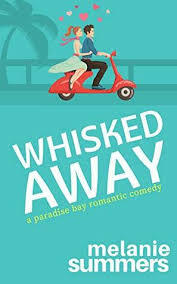 What inspired the idea behind this book? As a young father with two sons, I read a lot to my kids...I also spent most Sundays cooking pancakes with and for them--I ate quite a few myself! Trying to teach my kids life lessons, recycling and protecting the environment were also concepts that were important, but difficult to teach to young kids. I always felt that it was hard for children to grasp how their actions could impact the environment positively or negatively. The idea of My Pancakes Taste Different Today! came out of that quest. What was the most rewarding moment you experienced while writing this book? Seeing the beautiful artwork that Barbara Cate did, and how it worked in harmony with the writing to really tell the story. Heather and I have had such a wonderful time working on this together –it’s our baby. Where did your interest in writing children’s books begin? I have always had my favorite books...The 4 Chinese Brothers, Ferdinand the Bull, A Fly Went By, A Fish out of Water, Go Dog Go...many of these were based on cause and effect...progressive events. I am also a cartoon addict, still to this day I spend more time watching cartoons than any other medium. My son Evan is a brilliant voice over artist and my dream is to see him as a character in an animated film. What are some ways to get young people interested in the environment and what foods they eat? Farmer’s Markets, natural groceries, growing seeds from a packet at home. I think getting kids to engage with nature is the best way...sadly this is so hard for many kids around the world. I had the fortune to live in both Japan and the Philippines as a child and young adult, and the differences in the way each of those cultures reveres and cares for their environment is vast. It really begins culturally at a very young age. How should kids be taught about personal responsibility and their role in sustainability? By their parents, actions speak the loudest. How would you describe the importance of investing in our children? I like putting chopped apples in the batter, adding cinnamon, and then topping with a blend of butter, syrup, and raspberry jam! Don’t forget to sprinkle powdered sugar on at the last minute. What do you hope readers take away from My Pancakes Taste Different Today!? I hope that parents read the book to their kids and that the book is also used as an early reader. This will be the best way to teach children how their actions impact their world. We have two books in the hopper that we are both very excited about. One thing at a time I am told by my wife, but creativity has no timeline! were important, but difficult to teach to young kids. Bruce is 56 years old, lives with his wife Heather in Santa Fe, New Mexico where Bruce has lived for 27 years. Bruce attended the University of Dallas studying International Finance and Economics. Bruce has two adult sons, Matthew and Evan, and has two grandchildren, Ethan age 3 and Avery age 1. Growing up, Bruce lived in the Philippine Islands and Japan, and enjoys traveling, writing, skiing, chess, playing guitar, cooking and entertaining, playing tennis and golf. As a professional, Bruce has been an investment advisor for 32 years, and recommends that the best investment is an investment in our children. Heather is 44 years old, and lives with her husband Bruce in Santa Fe, New Mexico. Heather has worked most of her professional career in Special Events and Fund Raising for non profit organizations such as the Museum of New Mexico Foundation, The Santa Fe Community Foundation, The Santa Fe Botanical Garden. She is a graduate of Evergreen State College with a Liberal Arts Degree. Heather enjoys traveling, is a gourmet cook, and enjoys playing tennis and golf. Santa Fe artist Barbara Cate is an illustrator of books and has a card line which may be seen at mesamooncards.com and at GardenandSoul.com. My Pancakes Taste Different Today! 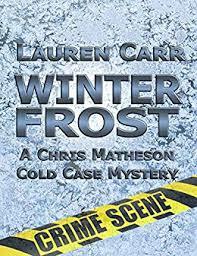 is her latest book. Barbara has lived in Hawaii and enjoys teaching children.